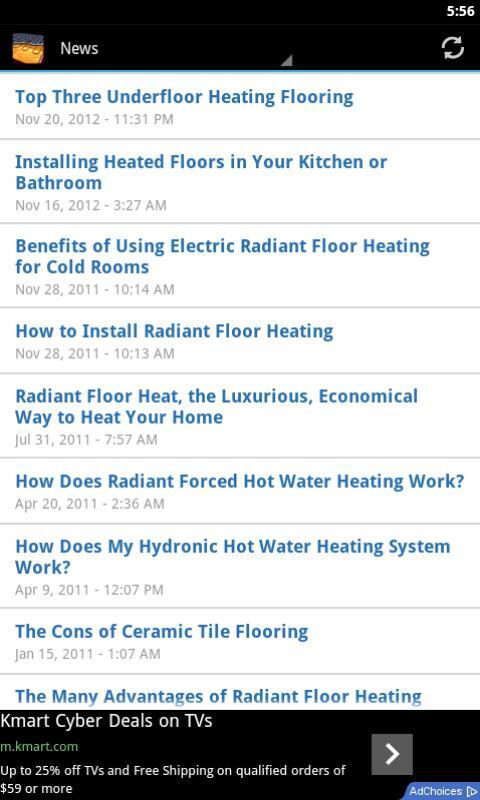 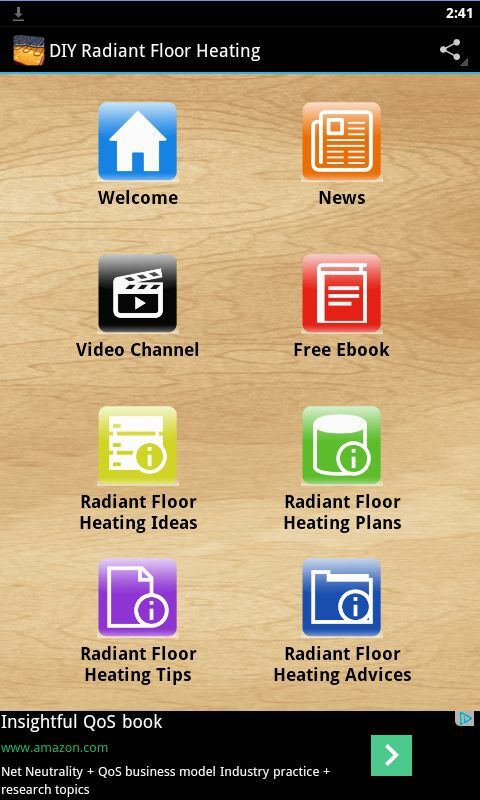 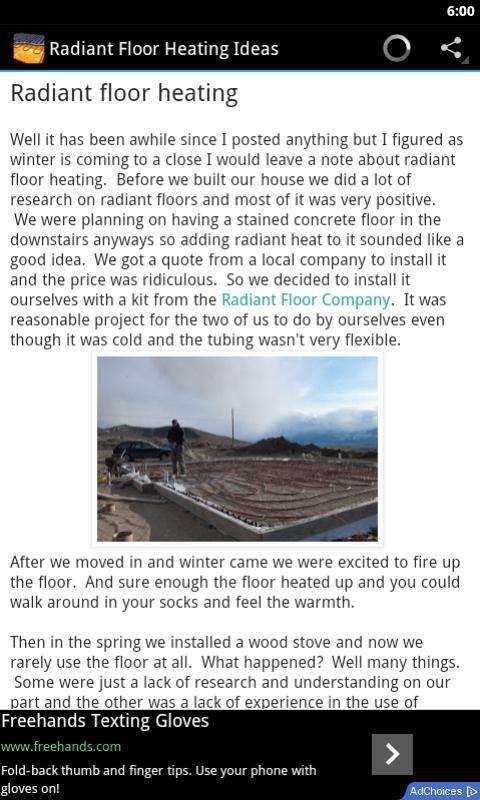 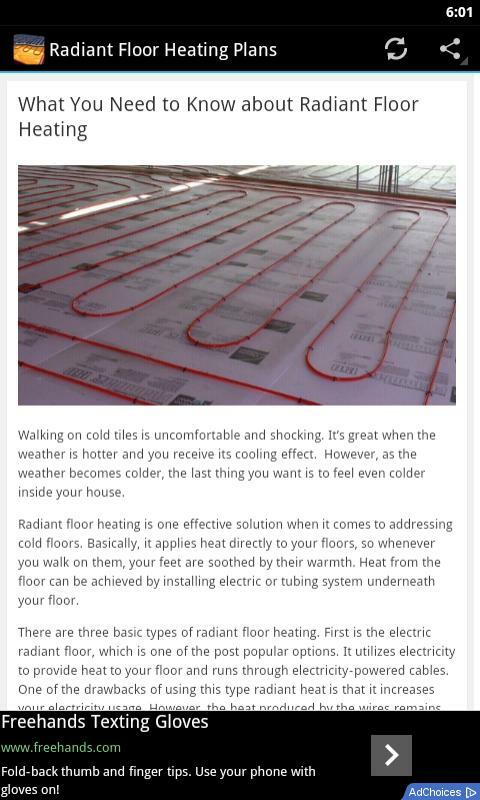 This app gives you the latest radiant floor heating news, DIY tips, videos and more from your favourite home improvement publications. 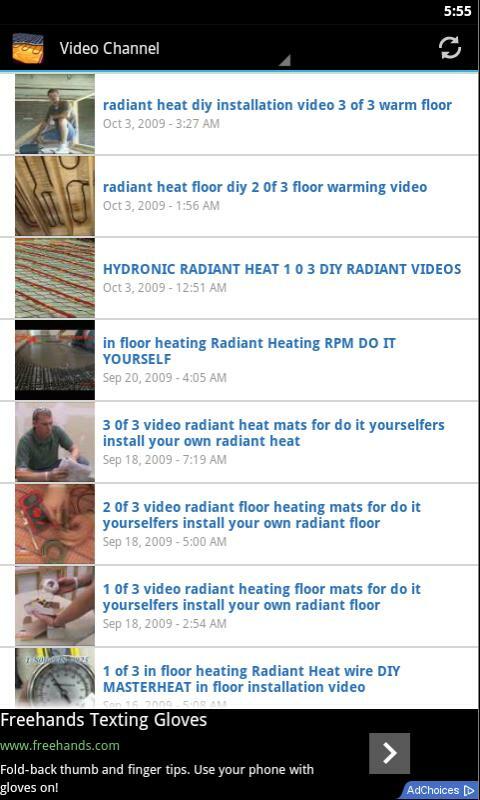 .Underfloor heating guide .Hydronic radiant floor heating systems .Understanding radiant barrier under shingles .Electric radiant floor heating system .Home heating systems .Basement heating .Do it yourself radiant floor heating .Diy underfloor heating systems .Diy: water floor heating .Diy: how to install a radiant heating system .Installing radiant floor heat under tile .How to choose and install under floor electric radiant heat .And much much more! 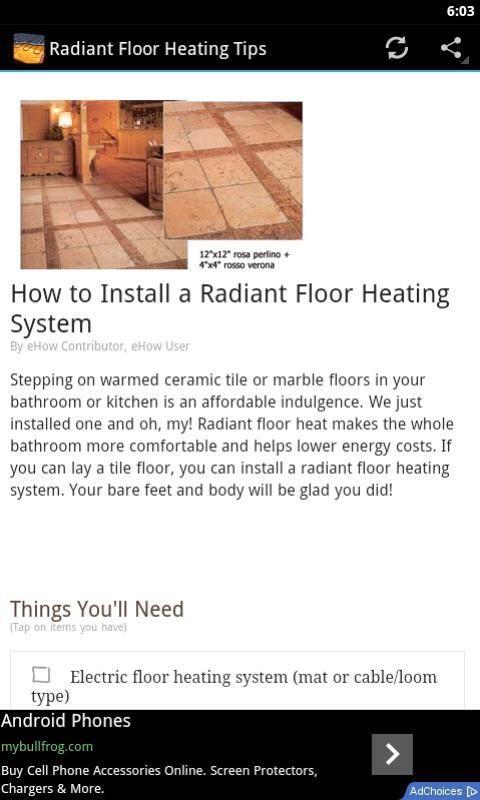 Click the Install button NOW to download it for FREE!